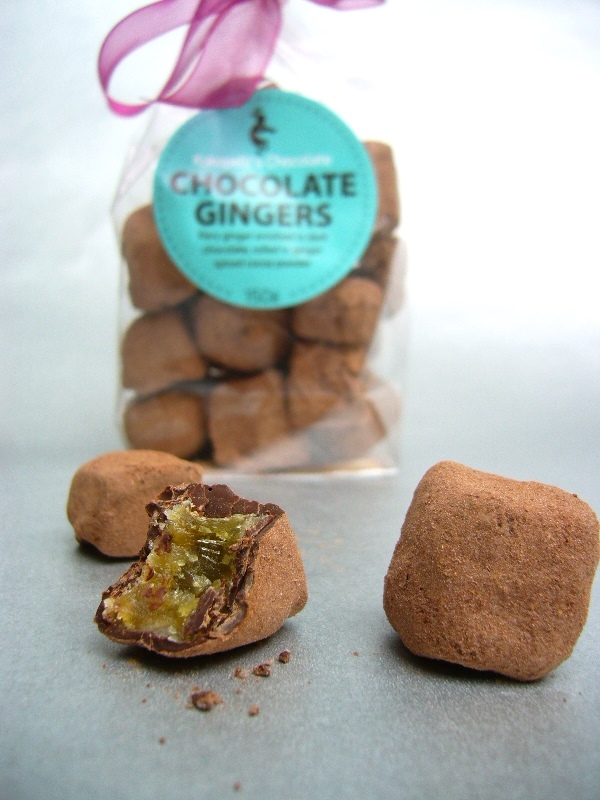 Hunks of fiery candied ginger, enrobed by hand in fine dark chocolate, and rolled in ginger-spiced cocoa powder. The perfect treat for the ginger lover. 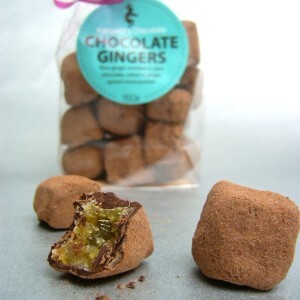 Hunks of succulent candied ginger, enrobed by hand in fine dark chocolate, and rolled in ginger-spiced cocoa powder. 150g of chocolate gingers in a bag. 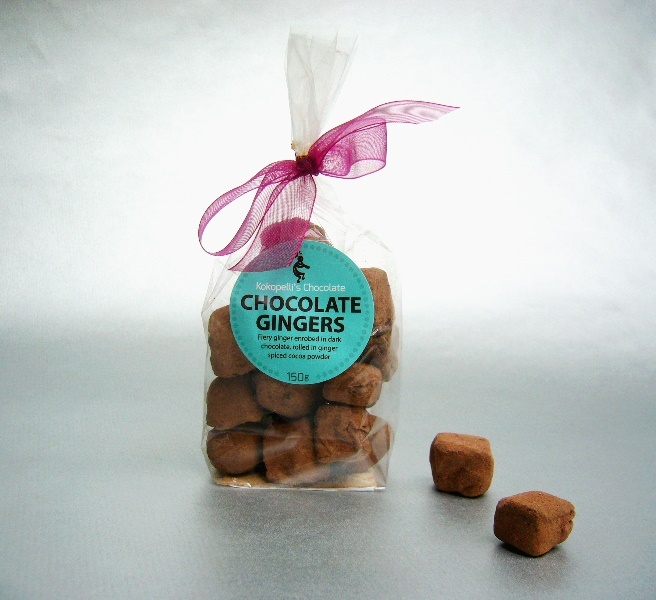 Your chocolate gingers will be dispatched within 1-3 days of receiving your order, sent by 1st class recorded delivery.